Summary: Here we make a list of top 5 best Hi-Fi music players and show you how to convert music Blu-rays to lossless Hi-Fi audio files that can be played on your Hi-Fi music players. We have come a long way since the time of our Hifi music players - Sony Walkman and Apple iPods. These Hifi music players were our companions everywhere, the same place that our smartphone have taken now though the Hifi music player had a narrow use only. Though we have come leaps and bounds with in terms of the portable technology we carry with us, the one thing that has not moved forward with the same place is portable Hifi music players. However, some audio device manufacturers did take a note of this big hole in the industry of Hifi music players and came out with their own portable Hifi music players which bring the innovations of the audiophile industry into the hands of the common consumer. Let us take a look at these rare Hifi music player masterpieces to see what they have to offer. 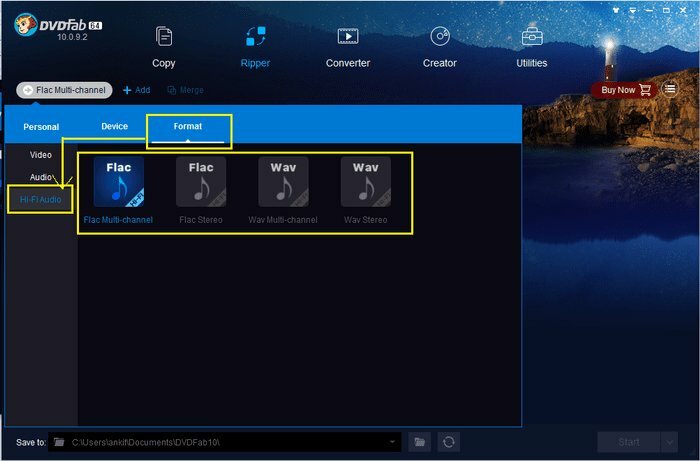 Part 2: How to Convert Music Blu-rays to Hi-Fi Audios? If you have got the itch to get a new Hifi music player and are ready to pay a handsome amount for the quality, the Cowon Plenue D might just be the thing you are looking for. This Hifi audio player feels like a small polished brick in hand. It has the generic micro-USB and 3.5mm audio port. With 128GB storage, Plenue D Hifi music player gives out rich details in the audio. There is no compromising on the bass or treble and the 120db SNR audio makes sure that there is no white noise in the output. Astell & Kern Kann Hifi audio player has a build that might not be to everybody’s liking, especially with the width of almost 4 inches. The length too is only a little small than iPhone 7. However, the big body allows for 2 audio ports – a 2.5mm balanced and 3.5mm unbalanced one, as well as 2 SD cards - a normal SD up to 512 GB and micro-SD for up to 256 GB – which is in addition to the 64GB internal in this Hifi portable music player. Play 32bit/384 kHz tracks as well as DSD256 audio on this Hifi music player and you can hear word modulations throughout the track. It flows over peaks and troughs of volumes and the level of sight you get on all music genres through Astell & Kern Kann Hifi player is something to behold. Astell & Kern AK70, the predecessor of Astell & Kern AK70 MKII is a Hifi audio player that checks off all the right boxes you would look in a premium Hifi music player. Astell&Kern AK70 MKII Hifi audio player is definitely an upgrade and costs the same high premium as its original. At 150 grams, this Hifi player is light as a feather and with 3.81-inch height, 0.59 inches thick and 2.47 inches wide this version too easily slips in your front or back pocket. The difference in this version is that it has dual Cirrus Logic CS4398 DAC for both channels rather than the one before. 32-bit audio is downsized to 24-bit/192kHz audio sample with bit by bit play. AK70 MKII Hifi portable music player brings out the real depths of the song and you should, therefore, be sure to use only the highest quality of audio you can get. DX90 Hifi player has an all-black look that feels masculine with a no-nonsense flair to it. This Hifi music player has been in the market for quite some time now and that is why it is available at a much cheaper price than the other Hifi audio players in this list. There are a lot of firmware upgrades for this MP3 Hifi portable music player, including unofficial ones, which do affect the output audio subtly through theoretically they shouldn’t. There is no bass or treble side to it, you get a neutral but deep audio experience from it. It gives you an output should that an artist hears in his recording studio and for a Hifi music player that is saying a lot. Our third entry from Astell & Kern, the Astell & Kern AK Jr Hifi audio player, does prove that Astell & Kern bring out only the best in the market but going by their standards, this Hifi player is a steal on pricing for a good quality Hifi audio player. The low price might give you an impression that this Hifi music player might be lacking in somewhere but I would recommend you to keep on reading before making up your mind. This Hifi portable music player is from a time when big screen sizes were not a fab and therefore it has only a 3.1 inches touch screen. It might disappoint you if you compare it with screens of smartphones today. It can play high-resolution audio at a max of 24bit/192kHz and can handle DSD files types too. With 64 internal and 64 external storage, you have enough space to store hundreds of Hifi player compatible songs on it. Play whichever song you want, this Hifi music player will get you the depth in the bass you will love and the clear vocals you will want to get lost in. While it is easy to play Hifi music once you get a Hifi music player but from where do you get the Hifi audio files? A simple solution to this problem is creating your own Hifi files from the Blu-rays you have. DVDFab Hi-Fi audio converter can easily convert your Blu-ray audio to lossless Hi-Fi audio files in FLAC or WAV formats. Let’s see how to do it. 1. 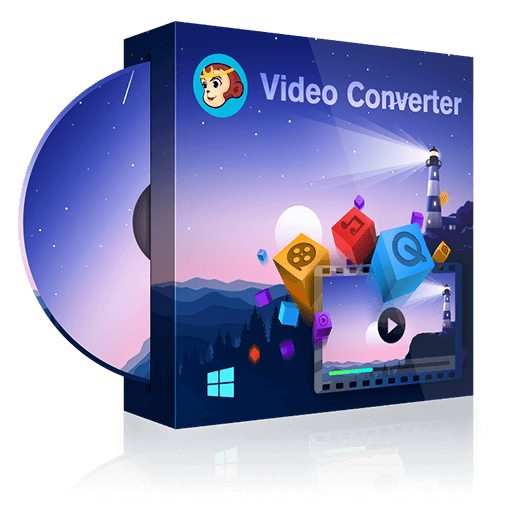 Download DVDFab Hi-Fi Audio Converter and install it on your PC. Go to the Ripper section of the tool and click the Flac Multi-channel button. 2. Select the Format tab and in the left section select Hi-Fi Audio. Select one of the four audio format you want from the options available- Flac Multi-channel, Flac Stereo, Wav Multi-Channel and Wav Stereo. 3. 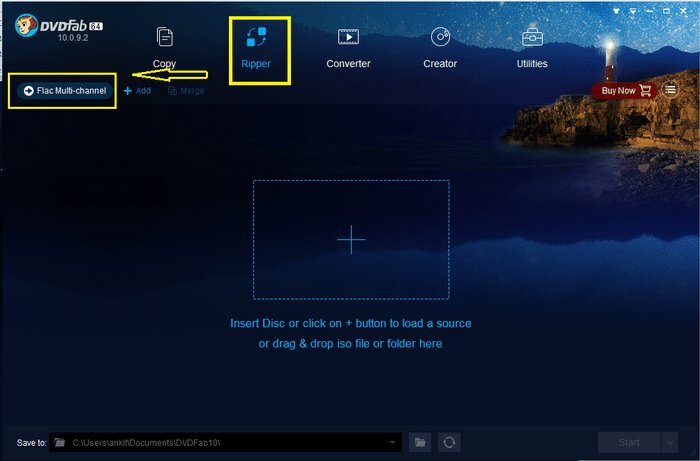 Insert your music Blu-ray disc to your optical drive or Select/Drag and Drop the music Blu-ray ISO files/folders you want to convert into Hi-Fi audio. The main movie has been selected by default here, but you can choose other titles you want. You can even edit the file name, choose the audio track you want in the output, select chapter and customize the audio output parameters according to your preference. 4. Click on Start and wait for the conversion process to complete. You can also schedule the task to start after some time. Once the conversion, you can find the files in the default directory – Documents > DVDFab10 or any other custom directory if you specified so. DVDFab is available to try out free for a period of 30 days and you can do 3 free conversions before you have to buy the software. So go ahead and try out the software, see how the audio quality comes on your Hifi music player and if you find it worth while you can buy it. Also want to rip Blu-rays to various video formats for playback on your portable devices? Click Top 3 Blu-ray Ripper Software to find the best Blu-ray to video converter.